Joyetech eVic Basic TC MOD is a handy, easy-operated mod for daily vaping, with elegent appearence and multifunction. The 1500mAh battery can provide up to 60W, with real time clock and custom logo function. Joyetech eVic Basic TC MOD is a handy, easy-operated mod for daily vaping, with elegant appearance and multifunction. The 1500mAh battery can provide up to 60W, with real-time clock and custom logo function. It can support various modes: RTC/ VW/VT/ BYPASS and TCR Modes. It is equipped with dual battery protection system and the firmware can be upgraded, which can keep the device stay up to date. eVic Basic Mod will meet your different demand for vaping. The ordered items were received accurately and fast. 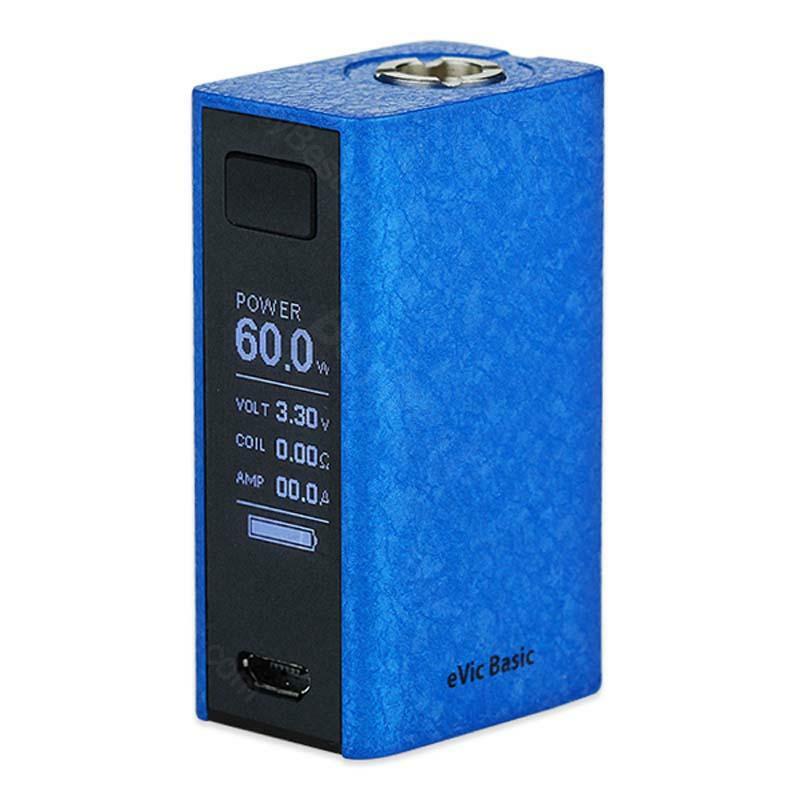 The Joyetech Evic Basic 40W mod is small, dependable and provides the necessary info on the screen as well as a clock which I like better than wearing a wrist watch. For my use I have found none better. Ich kann Joyetech eVic empfehlen. Sie liegt gut in der Hand, ist leicht zu bedienen und der Akku hält mit unserer Nutzung ungef?hr eine Woche. The Joye eVic Basic can work with Ni200 coils, I like its tc mode.